Attorney Scott A. Rumizen has spent nearly 25 years devoting himself to helping individuals and families who have suffered serious personal injuries. Regardless of the nature of the claim, Attorney Scott A. Rumizen's philosophy has always been consistent: to fight for and protect the rights of his clients, who are often threatened by large insurance companies. As the son of an attorney, Scott grew up understanding the importance of protecting and advocating for the individuals who were injured as the result of another's negligence. 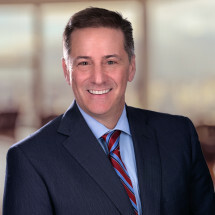 By providing the right mix of toughness, compassion and experience, Attorney Scott A. Rumizen has represented thousands of clients who have suffered serious personal injuries. He is proud that he has maintained longstanding personal relationships with many of his clients and families. Scott A. Rumizen obtained his undergraduate degree from The Ohio State University with a Bachelor of Arts degree in Political Science in 1987. After graduation, Scott studied law at The University of Toledo, College of Law where he graduated in 1991. Upon graduation, Scott moved to Cleveland, Ohio to pursue his legal career in personal injury litigation. Scott is admitted to practice law in Ohio, New York, New Jersey and the Federal Court for the Northern District of Ohio. Scott represents individuals in Cleveland and throughout Northern Ohio in personal injury and nursing home abuse cases. To learn more about the representation he provides, schedule your free initial consultation. He handles all cases on a contingency fee basis, so you are not responsible for paying attorney's fees unless he makes a favorable recovery on your behalf.